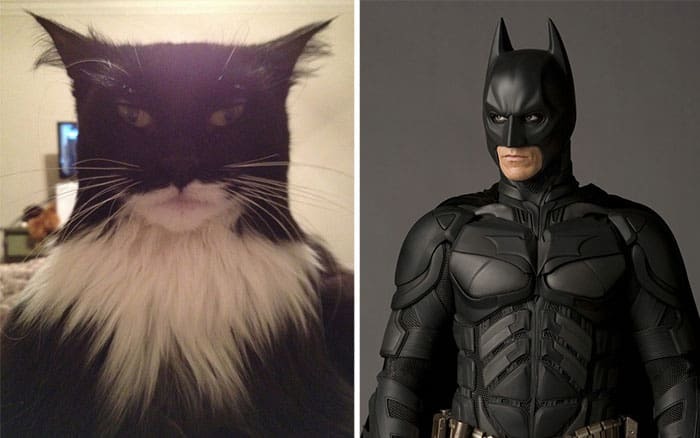 Cats are pretty great, but if they’re missing one thing, it’s a resemblance to various famous figures. Right? Wrong. 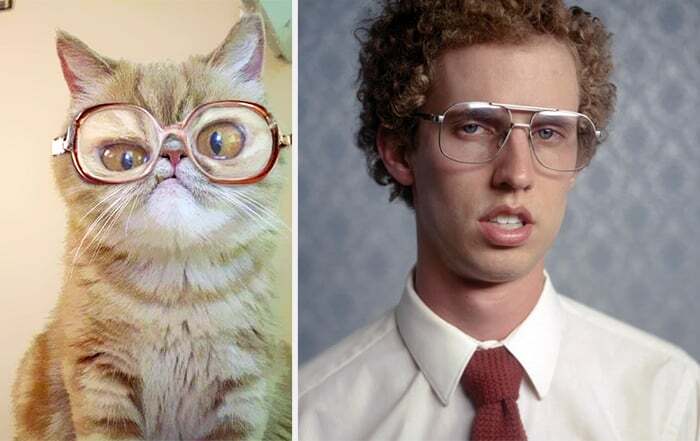 We have here, ten awesome pictures of cats that look like famous people. Why? Because this is the internet, and this is what it’s for. So sit back and enjoy, and please don’t dress up your cats anymore. It’s weird. Imagine 8 Mile re-enacted by cats. Now, stop imagining that because it’s weird. But please do enjoy this photo of a fluffy cat about to throw down a sick beat. 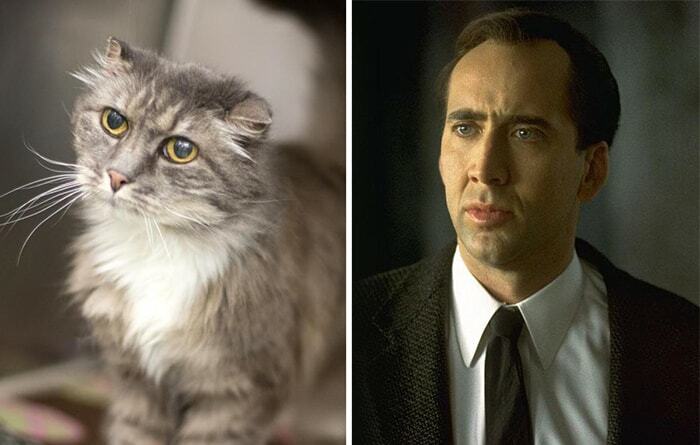 We imagine this cat knows pain and darkness like you couldn’t imagine. Screw Ben Affleck, this is the world’s knew Dark Knight. 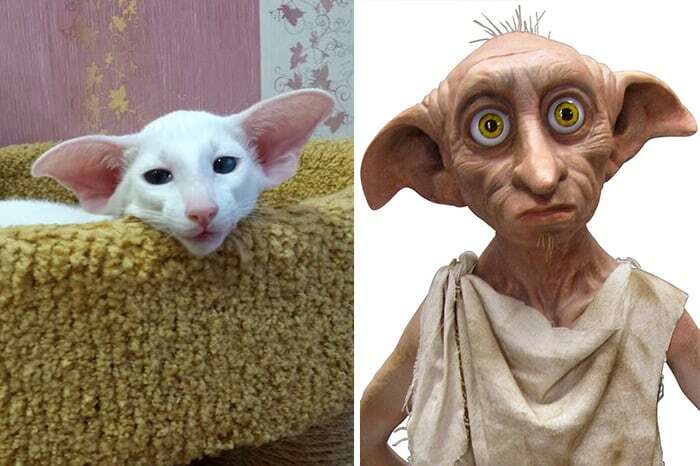 As if that cat isn’t terrifying enough, they have to compare it to creepy Mr Burns and make things ten times worse. 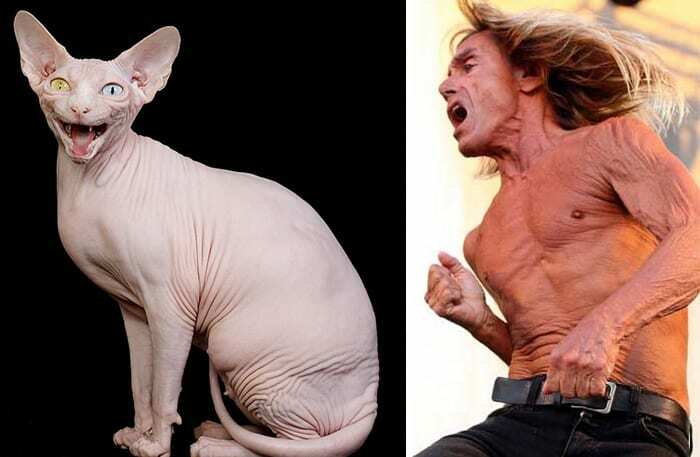 Does this cat have a lust for life, like Iggy? We don’t know, but we wish they’d both put some clothes on. 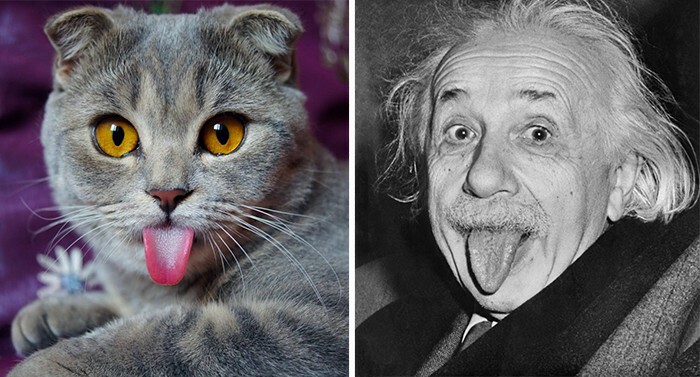 We wonder what one of the greatest scientific minds of all time would have said if he could see one day he’d be compared to a random cat on some list on the internet? This cat obviously isn’t happy that Nicki Minaj stole her unique look. *shudders* and we thought the Mr Burns one was creepy. This one genuinely gives us nightmares. Curse you, Cage and your blank slate of a face. 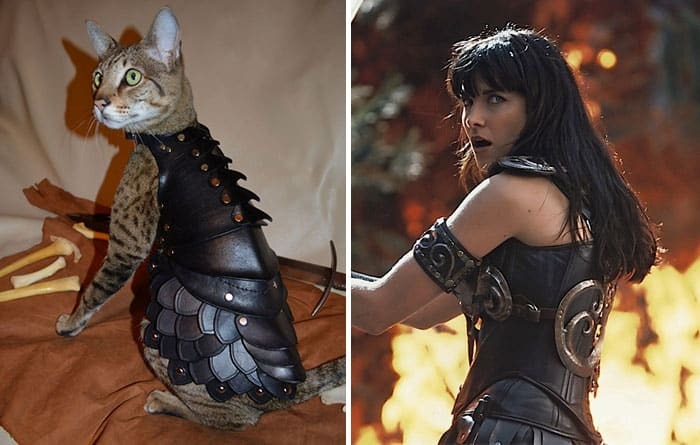 Yep, anyone who takes the time to dress their cat up in armour is okay by us. And by okay, we mean the kind of people we would never invite round because they scare us.